Make sure you know how tall your ceilings are and what size tree you can accommodate. Trees generally look smaller on the lot or store. Don’t forget to allow room for the tree topper and remember that the Christmas tree stand will add a few inches or more as well. It’s important to pay attention to width as well. Will your space fit a big, fat tree or do you need a skinnier one? Will all sides of the tree be visible? Beauty is in the eye of the beholder, but generally speaking – if the tree is in a corner and you’re on a budget, consider buying an inexpensive tree that might have a flawed side. If the tree will be seen from all sides, stick with a higher grade tree with a minimal number of flaws. What kind of decorations are you using? If your decorations are heavy, you will need a Christmas tree with sturdy branches like a Fraser fir or Noble fir. Christmas tree varieties with weaker branches, like White pine, will not be able to hold heavy ornaments. What kind of Christmas tree do you like? Christmas trees come in a wide variety: short needles, long needles, bluish tint, dark green, light green, prickly, soft, rounded branches, flat branches, etc. What is the look you are going for? Learn more about tree types here (internal link to Tree Types page). What tree performs best in your climate? Some trees hold up better in a warm climate, others do better in cool climates. How fresh is the tree? Run a branch through your enclosed hand - the needles should not come off easily. Bend the outer branches - they should be pliable. If they are brittle and snap easily, the tree is too dry. Other indicators that the tree is too dry might include: excessive needle loss, discolored foliage, musty odor, needle pliability, and wrinkled bark. A good rule-of-thumb is, when in doubt about the freshness of a tree, select another one. If none of the trees on look fresh, find another lot or farm to buy your tree. How big is your stand? Different stands are made to accommodate trees of different sizes. Know how big a tree your stand can hold. If your tree is too big for your stand, it could easily topple over. Be prepared for an outside adventure. Make sure you wear proper clothing, especially foot wear. If you have to cut your own tree, bring gloves. Many farms offer refreshments, but not all. Have water on hand. Also consider that not all farms have restrooms. Be aware of farm hazards. 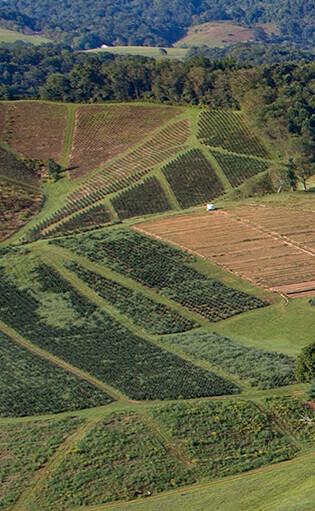 Many farms try to keep their fields well-groomed, but it is an outdoor adventure, which means there will be the stray tree stump or blackberry vine or ant hill. 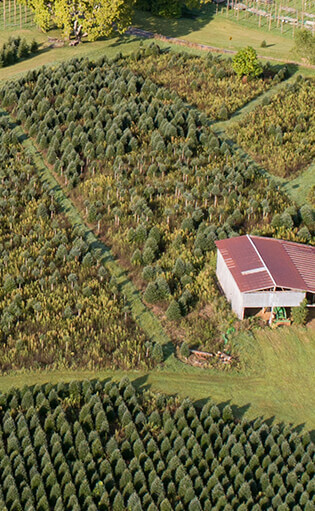 In Ashe County, the most popular tree variety is the Fraser fir. Fraser fir grow best on a slope, so be prepared to walk on an incline. Become familiar with farm policy. All farms are different. Some will cut the tree for you, others will expect you to cut the tree yourself. Some will charge you by the foot, others by the individual tree. Some will allow you to pre-tag your tree, others are open only at specific times during the year. Call ahead or visit the farm website to learn more about the farm you plan to visit.